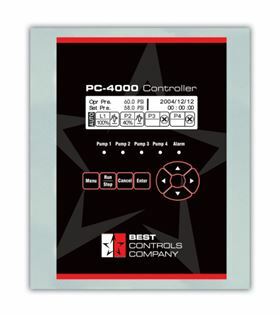 Best Controls’ new PC4000 controller. The controller features one to four pump configuration, PID control, 0-200 PSI pressure transmitter, a graphic screen display with back-lighting and serial communication. Typical applications for the PC 4000 controller, from Best Controls, include municipal, industrial and commercial booster pump controls.